The big white sharks are back at Guadalupe! 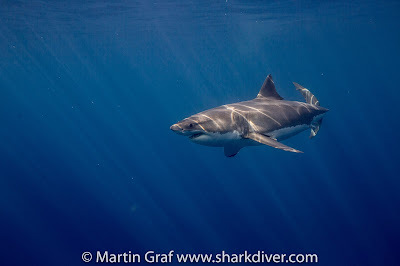 Home / Industry Blog / swimming with great white sharks / The big white sharks are back at Guadalupe! 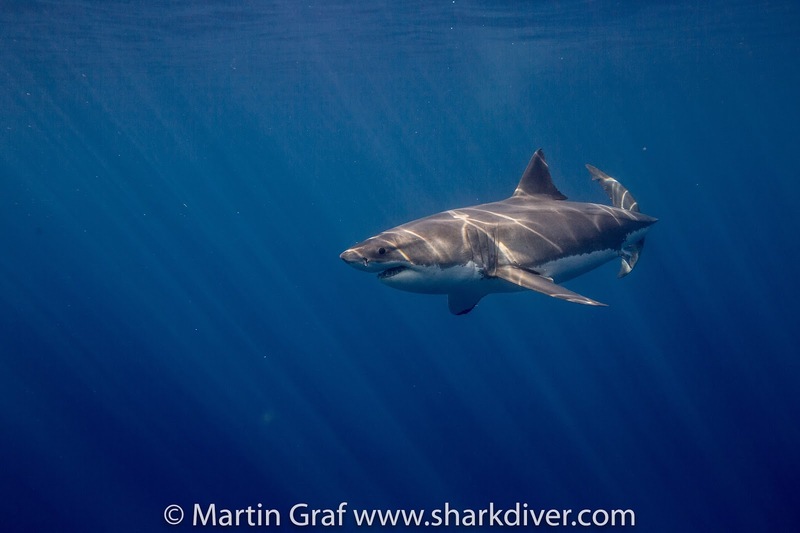 Which sharks are back at Guadalupe Island? We just got back from our second Great White Shark expedition to Guadalupe Island last night and are happy to report that the big boys are back in town! On our first day, Bite Face showed up. He has been present every single year, since we first met him in 2001. A little after Bite Face, Chugey made an appearance and chased some hangbaits by the cages. Chugey has been a regular since 2004. On day two, Bruce, one of the biggest males we regularly see came back. Bruce has also been there every season since 2001. It is absolutely amazing to see how these sharks come back year after year. To think that we see the same individuals for this many years just blows my mind. Aside from these guys we originally encountered during our first year at Guadalupe back in 2001, some of our other old time favorites showed up as well. Mau whom we first met in 2006, Johnny from 2005, Joker, Drogin and El Diablo from 2007 are all back. That is eight sharks that have all been there every single years for at least 10 years! Of our more recent acquaintances, Monkey from 2011, Hooper and Luca Arnone from 2013, #186 from 2016 (he needs a name by the way, contact MCSI to sponsor his name) and finally Husker, Mickey and Poseidon who first showed up last year all made an appearance. This season has been different from last year, where we encountered many small females in early August. This year it's been all males. 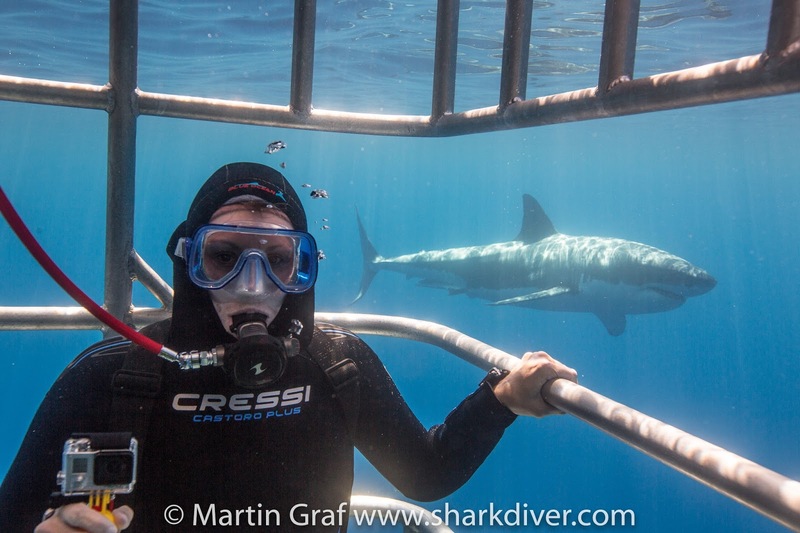 It never ceases to amaze me that after all these years diving with the Great White Sharks at Guadalupe, they keep surprising us. For anyone trying to figure them out, in my experience, I find them to be predictably unpredictable. Come join us on one of our expeditions and find out first hand that experiencing these amazing creatures in real life is completely different from anything you see on TV. Call us at 619.887.4275 or email crew@sharkdiver.com for more info. By Shark Diverswimming with great white sharksComments Off on The big white sharks are back at Guadalupe!